← My church…standing in the (picnic) light. It’s hard to say what finally broke Twesigye Jackson Kaguri’s heart: The 1996 death of his beloved brother in Uganda from AIDS, leaving three children fatherless. The long line of grannies at the funeral, begging American-educated Jackson for a pencil for the AIDS-orphaned grandchildren they were raising. Or maybe it was the thought of an entire lost generation of children – 1.7 million in Uganda — who had no one, not even an uncle, to look after them. Whatever it was, that heartbreak became Kaguri’s life calling, bringing him back from a successful career in American academia to use the $5000 he’d painstakingly saved up for a house to start the Nyaka AIDS Orphans School. With his new wife Beronda, Jackson raised a little more money from his American friends, soccer team and even the janitor at his university. The school that determination built. Then he traveled back to his village in rural southwest Uganda, picked up a hoe, and began to dig. 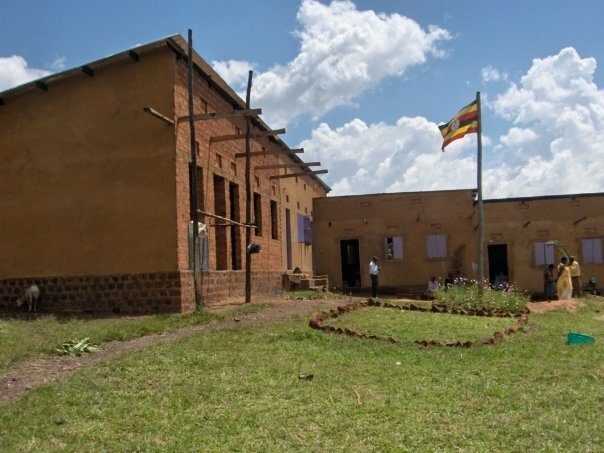 All his neighbors and family pitched in– and shovel by shovel, stone by stone, brick by brick, the village built a 2-room schoolhouse for 56 orphans (out of 5,000 who applied) that opened on January 2, 2003. 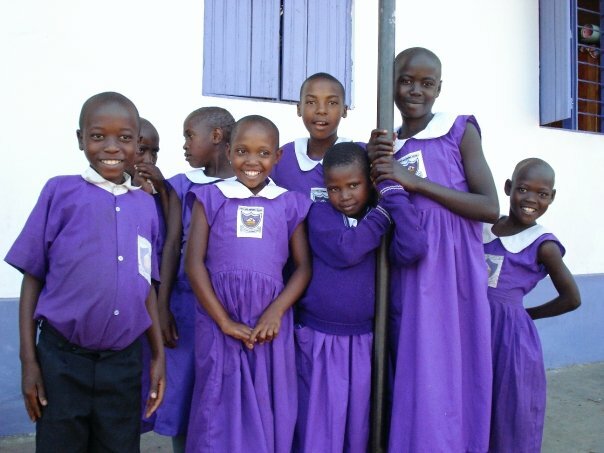 In new uniforms- purple for happiness! 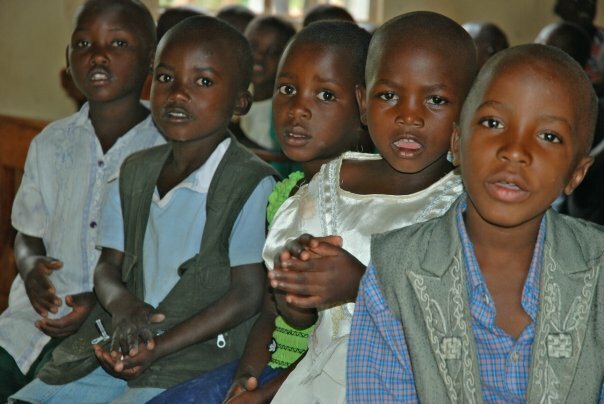 Today, Nyaka School has 427 students, chosen from the poorest of the poor – children who otherwise would be consigned to a life of utter poverty. 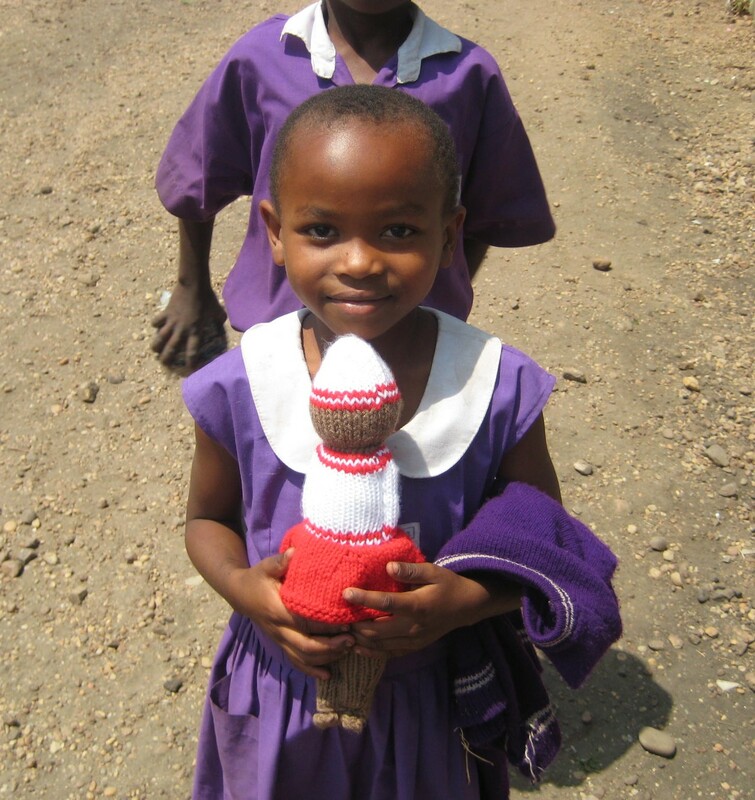 Everything in the school is provided free, including two meals a day, uniforms, books and supplies. Because Jackson realized early on that the children couldn’t learn without proper nutrition, medical care, a stable home life and community support, he has taken a completely holistic approach to their development – one that would ultimately lift up the entire village. Or, as he says, “It takes a child to raise a village.” And the village decides what it needs. 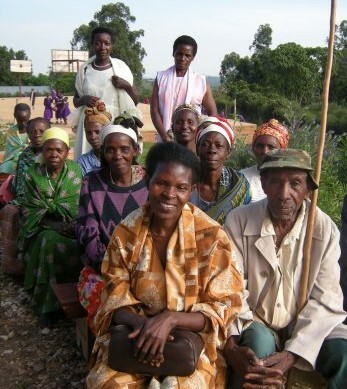 The grandmothers (and fathers) of the village. So far that collaboration has resulted in a clean water project that provides water for 17,500 people, a school farm that grows food for the children’s two free meals a day; a grandmothers’ project that is making microfinance loans to 7,000 Nyaka grannies, enabling the women who are raising up to 14 children to earn an income and walk in dignity; a community library offering 330,000 residents access to books, computers and adult literacy classes; a second school in the village of Kutamba; an income-producing Vocational Center; an Anti-AIDS children’s choir — and on it goes. But the real success of Nyaka School lies in the beautiful faces of the orphans, chosen from the poorest of the poor, who clearly believe Jackson’s message: “Every child given an opportunity has the potential to excel.” And excel they have! 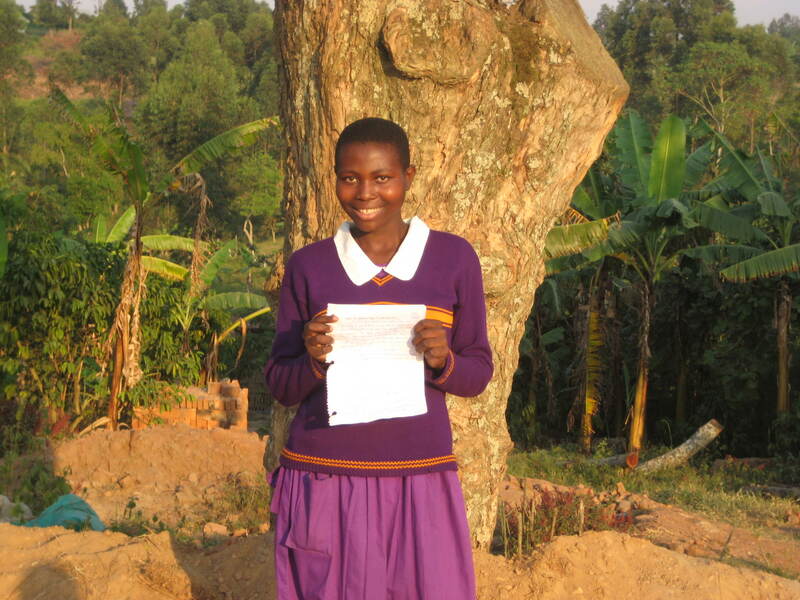 In 2008, Nyaka graduated its first class and in the national exams, 21 out of 22 passed (the country’s average pass rate is 40%). In 2009, 100% passed – and most of these children will go on to secondary school, and hopefully college. Considering that in Africa, a girl who attends primary school reduces her chances of getting HIV/AIDS by 50%, and 75% if she attends secondary school, these numbers tell a powerful story of what one man can do. 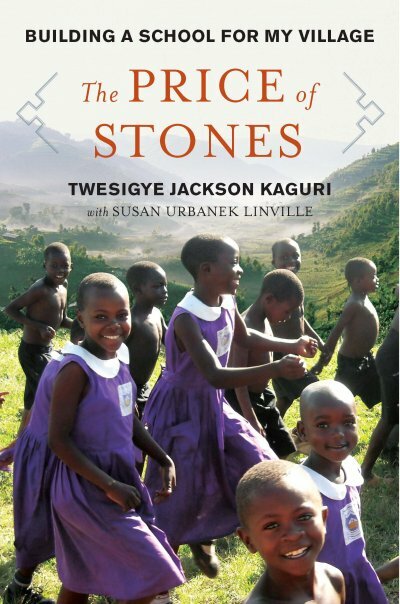 Jackson has written a new book about his journey called The Price of Stones and by all accounts, it’s so beautiful, inspiring and heartbreaking, you’d probably need a heart of stone to resist giving. So why resist? Just click here and give. The Cross Keys Football Team (see post here) won its game last Friday — Go Indians!! beautiful again! thank you for sharing; hopefully this message will resonate with American students thinking of dropping out of school! Wow! What an achievement. It’s incredible, the difference one determined person can make. Betty, thanks so much for writing about this inspiring man and his work. I recently read The Price of Stones, and I could not put it down. What an amazing story, including many struggles: Kaguri knew that if he paid a single bribe to get the work done, he’d never get donors back in the U.S. to give. But that made his task initially much harder. His integrity is an important part of the success, and a great example for his school’s students.